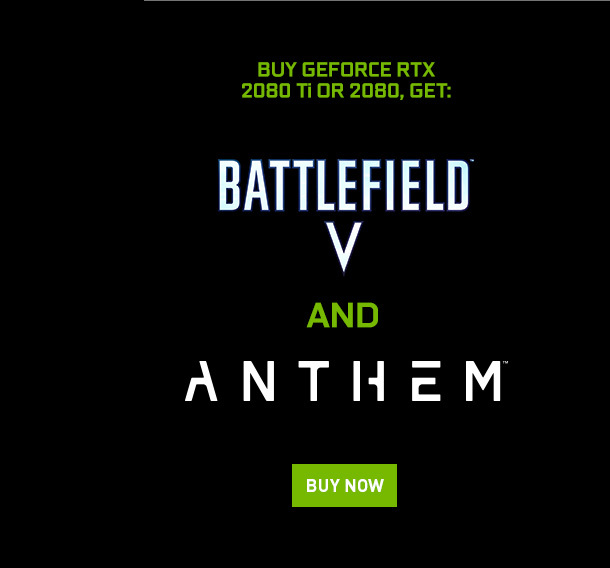 Offer good for one digital download code (Battlefield™ V and/or Anthem™). 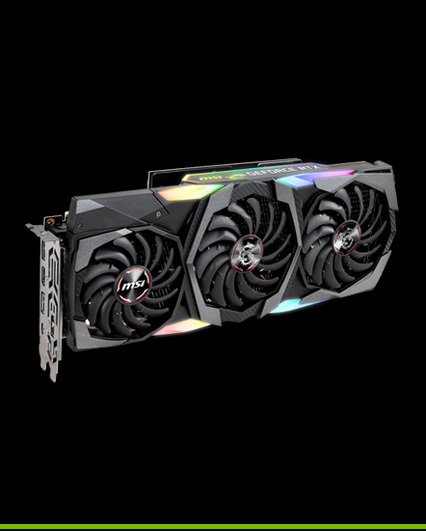 Limit one set of game codes for a qualifying purchase of GeForce RTX 2080 Ti or GeForce RTX 2080. 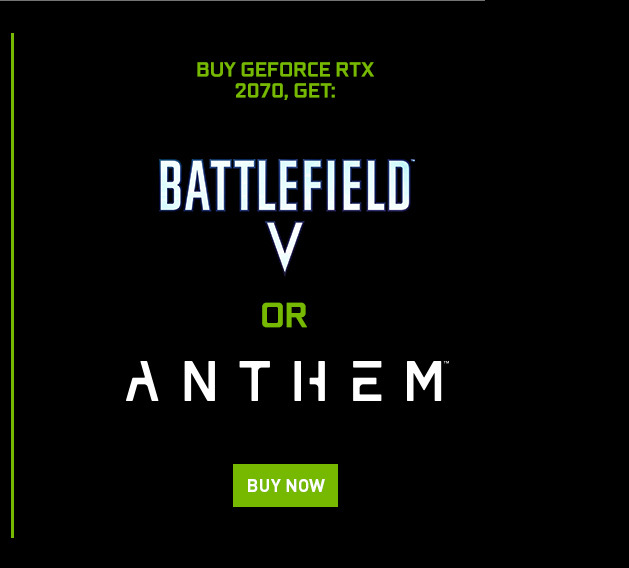 Limit one download code per customer of their game choice for a qualifying purchase of GeForce RTX 2070. Offer valid only through authorized ETAIL and Retail partners. For redemption instructions, click here. Bundle begins January 7, 2019 through February 25, 2019 or while supplies last. Offer may not be substituted, exchanged, sold, or redeemed for cash or other goods or services. Offer valid worldwide, excluding China and North Korea. Customer is responsible for any applicable sales tax. Offer may not be combined with any other offer, cash card, Game Time card, and rebate or discount coupon. Product subject to availability, quantities are limited. 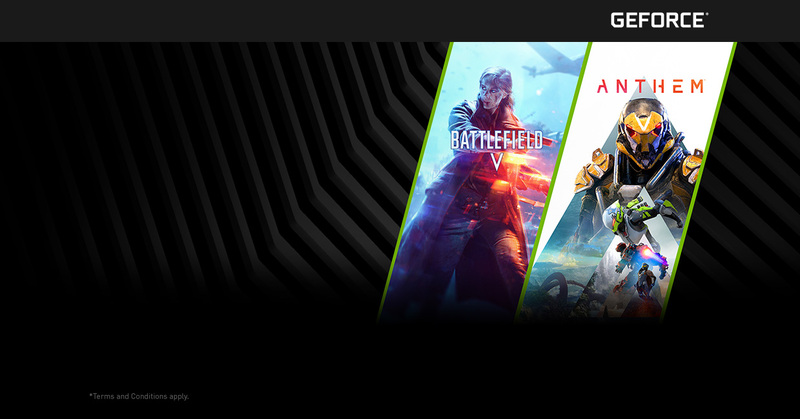 Retailers, distributors and employees of NVIDIA, EA, Dice, Bioware, and their agencies/affiliates are not eligible. Void where prohibited. Limit one offer per person per transaction. 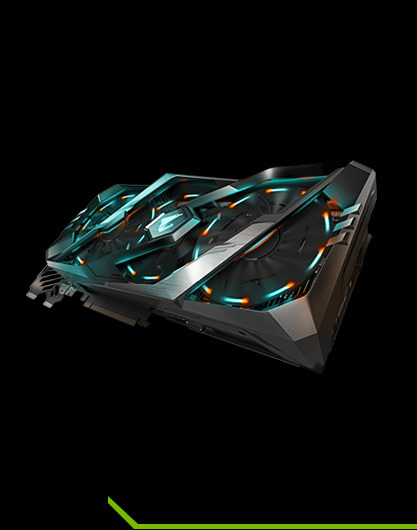 Code will be provided to customer with the purchase of a qualifying NVIDIA product. Game must be redeemed with qualifying graphics card installed. Customer must meet the age requirement of 17 and up for the game to redeem. Regional/Country Requirements- Some coupons require that they be redeemed in specific regions or countries they were purchased in. Please redeem the code in the appropriate region/country. Redemption period ends on March 25, 2019. 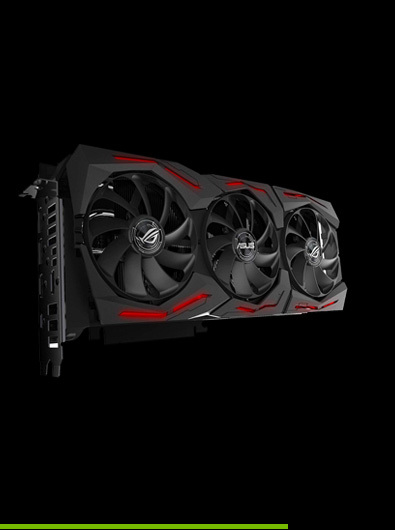 Participating Retailers own brand Desktop PCs with a qualifying GPU are also included. Please check carefully the description of the product on the Retailers website or in store to confirm that it is part of the promotion.